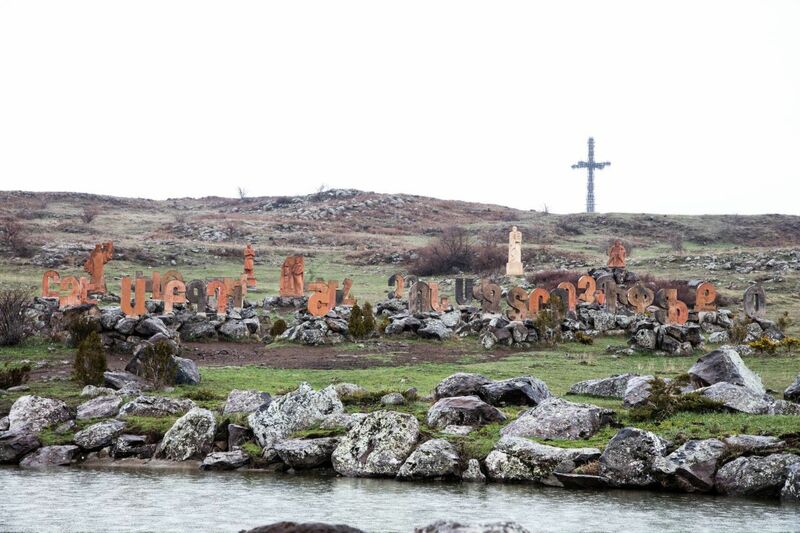 You can visit some amazing sites in the small country of Armenia, like this park filled with Armenian script letters, but getting to them can be a little difficult. We found the best way to visit this amazing country was by car. 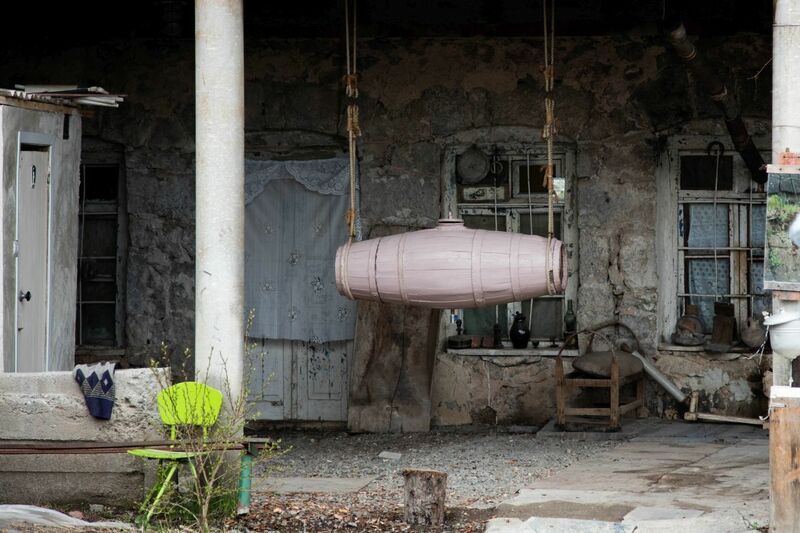 This is our final installation on our Armenia Road Trip series. This last article is our compilation of what you need to know in order to have a stress-free road trip. 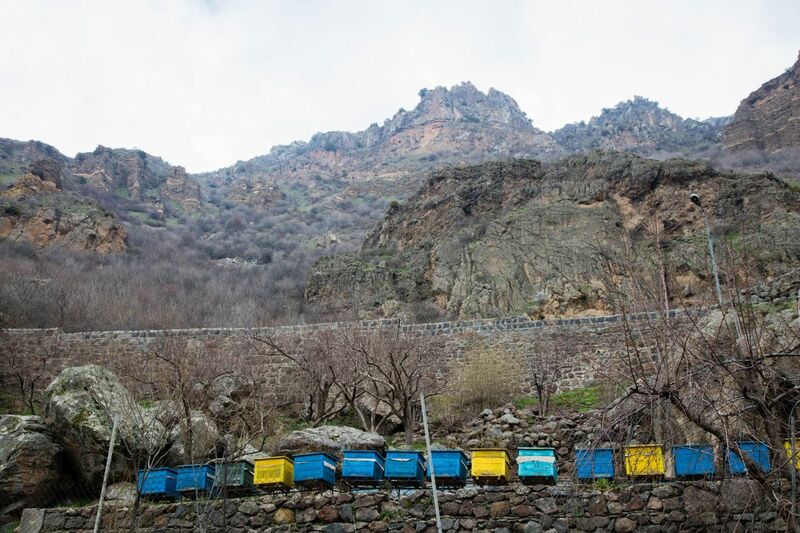 Have you been on an Armenia Road Trip? 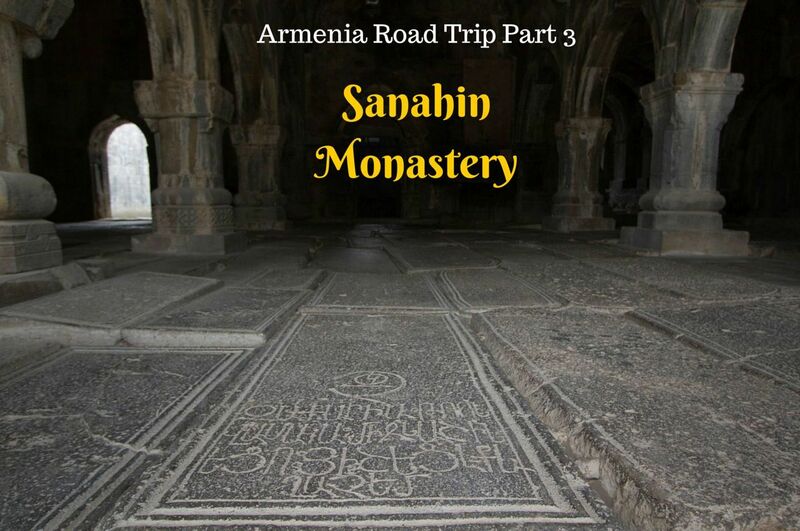 In our Armenia Road Trip Series we’ve told you about everything we saw and did in Part 1, Part 2, and Part 3. If you missed them, you’ll want to go check them out! One of the keys to a successful road trip in any country is proper advance planning. This becomes even more crucial when planning for a trip in third world countries. If there are border crossings on your itinerary you’ll need to even more attentive to the details required for an efficient and hassle free crossing. Most of this information can be handled by your rental agency (if renting a car) and often this is the also the most efficient and cost effective method. 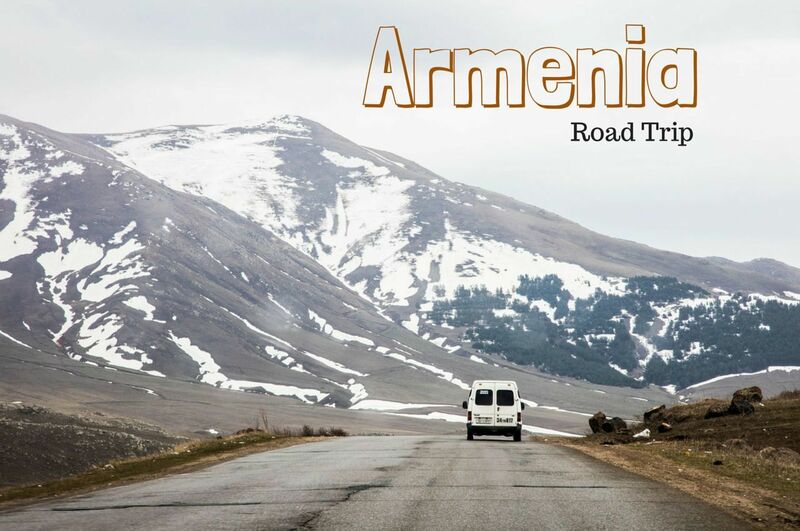 In the case of traveling between Georgia and Armenia we were required to arrange this before hand with our rental company allowing enough time to prepare the additional paperwork and documents to permit the car to cross through customs. It’s even more important to realize that not all rental agencies will allow cross-border trips, but that doesn’t mean you can’t do it, it just means you need to keep looking until you find a company that does allow it, or rent two cars – one in each country. In our case, the major rentals wouldn’t allow it, but we found a company that had offices in both Armenia and Georgia that would, and since they had a presence in both countries they knew exactly how the process worked. Thanks to them, our little bit of red tape was easily cut and we spent little time with customs. The vehicle search was more of a casual opening of the doors and trunk and letting them see the luggage (they didn’t want to look closely at anything). After that we were allowed back in the car and directed to drive up to the customs area. Here the driver had to go into the office, show the passport and the car documents, pay the additional insurance required for your Armenia road trip (US$15) and, of course, get the almighty, official stamp on the document. 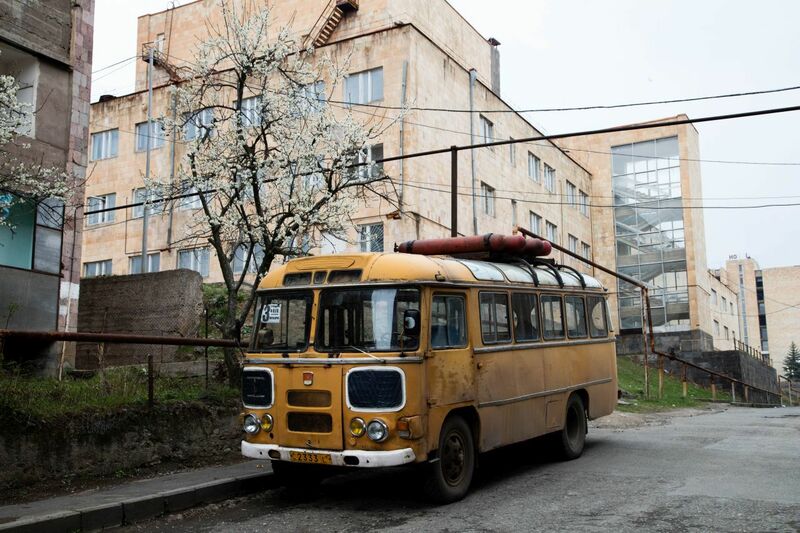 The return trip from Armenia into Georgia was very similar, but in reverse. Clear customs using the aforementioned stamped entry document, close out the mandatory car insurance (US$10) and get another official stamped document, turn in the document to the passport control, then eject passengers who must walk through passport control to enter Georgia. One final thought about the border crossings; this was a fascinating experience that could have gone easily awry. Having all of the documentation up front, and knowing what to expect in terms of additional costs to be paid at the border was invaluable. We found very limited English and the whole process had a very shady, easy to pull a scam on you feel to it. The one thing everyone told us about driving in Armenia was how bad the roads were going to be. However, driving out of Georgia, we took a scenic route that ended up being under construction for about 20 kilometers. That road was pretty close to a four wheel drive track and we averaged about 10 kilometers per hour in our tiny Kia Picante rental car. It was fun, but I wouldn’t recommend it. It did color our perception of what a bad road would be in Armenia, if that last 20 km. in Georgia was the bar, those roads in Armenia were going to be horrible! Well, the road on the other side of the border crossing turned out to be a newly constructed, pristine double-lane highway! We were recalculating travel times once again, when this road surface turned into what would be the more normal for the rest of the trip. We encountered sections of moon cratered road with potholes ranging in diameter from 10 centimeters up to 4 meters and larger, and depths ranging from barely noticeable to deep enough to swallow the car. There were several stretches where “road repair” crews had come through and “prepped” the potholes for filling. This was probably a good idea in theory, but the plan never got completely carried out. The holes had been enlarged and squared off, so now instead of a few small potholes there would be a large square of cutout road surface, sometimes filled with a shallow layer of gravel but usually not. Apparently, they were still waiting on funding for the asphalt and tar to fill in the prepped holes. One side effect of these potholes that every driver in Armenia must be wary of is that nobody can drive for any length of time in a straight line, and the entire road surface is fair game. Cars are weaving back and forth across both lanes trying to avoid the worst of the holes and still maintain as fast a speed as possible. Overtaking slower vehicles can be quite challenging, you need to be aware of oncoming traffic and the road condition in the probable passing area. I don’t really think, however, that the road conditions were in any way a strong deterrent to self-driving in Armenia. I love driving and the challenge of trying to drive through a particularly rough stretch while maintaining a decent speed was fun for me. The other drivers on the road all seemed to have a “we’re all in this together so let’s make it work” attitude and we never saw anyone getting too stressed about slowing down so oncoming traffic could clear their lane while avoiding some nasty holes. Some highways were worse than others and the closer you are to Yerevan the better the roads are going to be. As with most third world countries my advice for driving at night is just don’t do it. Ever. Everyone uses the road surface for getting from point A to point B whether they have a road worthy vehicle or not. Additionally, the road is fair game for bringing the cows or sheep to and from grazing grounds or even for grazing in along the shoulder or in the median. Of course pedestrians, horse drawn carts, donkeys, and an occasional bicycle are also going to be using the road and none of the people will be dressed in anything other than the traditional dark jacket with dark pants. So even if you do see road obstructions on your Armenia road trip in the dark, your not going to be able get around them and safely through the craters at the same time. It just won’t happen. On top of that, there are plenty of people driving around at night in large SUV and heavy trucks that don’t care about the obstacles and will just plow on through at break neck speeds. Don’t drive at night. If you do find yourself on the road after dark, just take your time, drive at a slow consistent pace, clearly signal your intentions, allow others to overpass, and keep every eye in the car peeled to the road ahead. I won’t say I’m a fast driver but I like to stay close to the same speed as the rest of the traffic on the road. It is usually safer that way, but not always. In Armenia, this is a good tactic, most drivers are cruising along at a speed suitable to the road conditions. I do worry, however, about traffic tickets, speed cameras, red light cameras, traffic checkpoints, and all things police related. Again, not because I intend to speed or break the rules, but because it is all to easy to make a simple mistake that could provide the opportunity to make some new friends. The biggest problem was that speed limits were not as well signed as they should be; it was always disconcerting to spot a police speed check up ahead and not know what the speed limit was. I don’t think that was just me, either; if there was a driver ahead of us, they would almost always slow way down to around 50 kph even though the speed limit on most roads outside city limits is 90 kph. Better safe than sorry I suppose. This worked for us, we were never stopped for any reason despite seeing quite a few of these police speed checks in all parts of the country we drove in. Our research didn’t turn up too many car rental agencies that allowed cross border usage. We chose Naniko Car Rental because it is based in both Georgia and Armenia and would allow travel between the two. They had good reviews everywhere I checked, especially in relation to driving their cars across the border. Based on our experiences I would definitely recommend them. 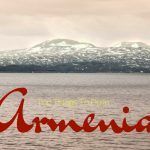 According to all sources I could find, you do need an International Driver’s Permit to drive in Armenia. You can usually get this on a very short notice from your national automobile club. It may be possible order it online or through the mail, though there will obviously be a longer waiting period for this. Don’t let the term for this document scare you, there is no exam to pass, or driving test to take, an International Driver Permit is really just a translation of your current state issued license. You will need a current driver’s license and a passport photo. We try Shannon! It was an interesting experience, to be sure. 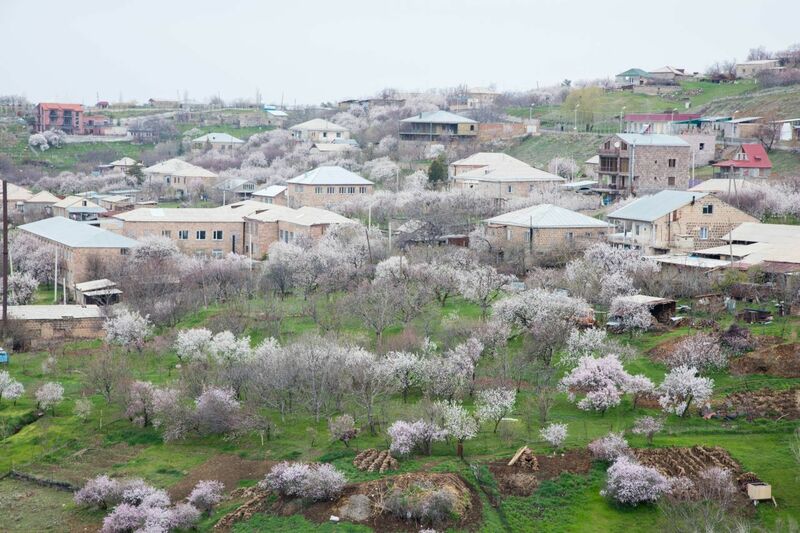 Wow, Armenia seem so cool and are defiantly on my list of countries to visit! See you on Tbex this summer, gonna be fun to get to know you! 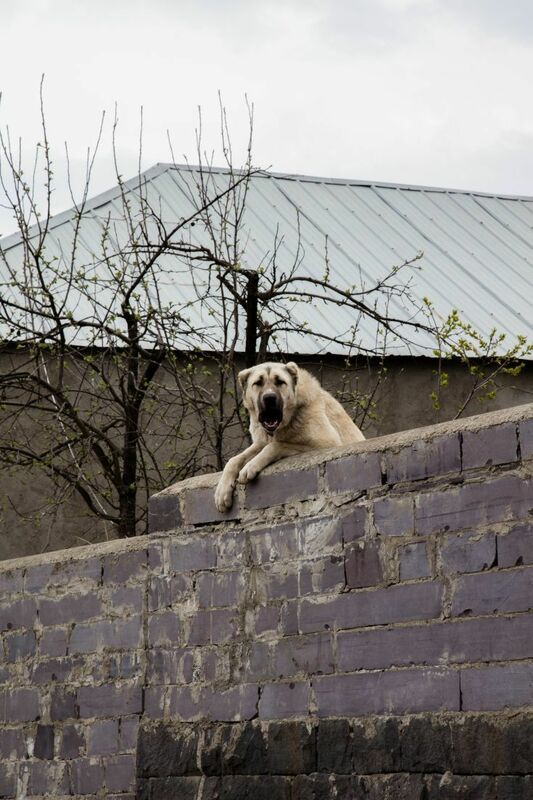 Jeanette, Armenia was very cool; we loved it. Yes! I’ll be looking for you! What a great post – a lot of good stuff to know! 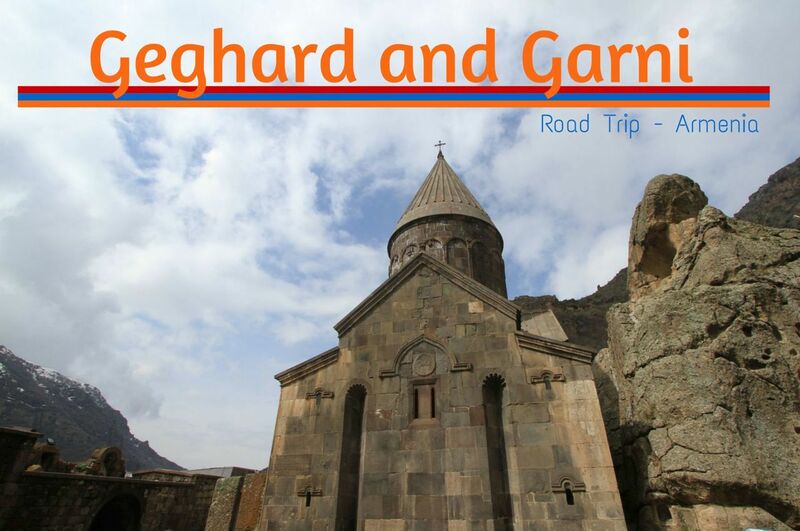 We are planning our trip right know and I wonder when did you do your journey to Armenia? Thinking of the roads still are under construction? Well, perhaps they have started new construction works on other parts of the roads. 🙂 Since it is not so long distance perhaps you are not in need of petrol station on the country side – but good to know if we get puncture or other problem with the car.. Since it seems hard to find something to eat. Lexi, I think the road are always under repair. I say to just take it slow. On all the major roads you will find enough gas stations. Finding restaurants was a little harder. I would suggest going from May to August. There will be a lot more things open for tourists. Disoriented? 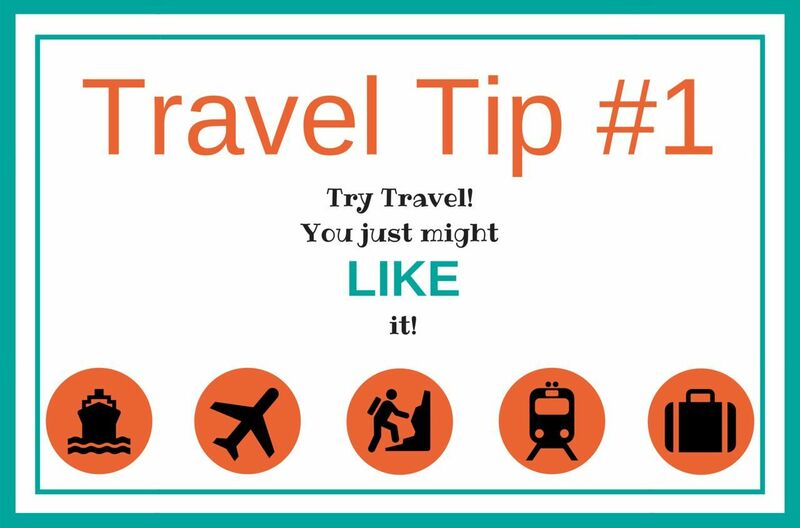 That's What Makes Travel Epic!